It looks like Arizona will have new industrial opportunities as a bill to legalize the manufacturing and sale of hemp rolls through the state legislature without much opposition. Last month, SB1337 passed two senate committees and cleared the floor with a 26-4 vote in favor of passing the bill. Controversial bills will rarely see this kind of support, spelling out good news for hemp horticulture hopefuls. 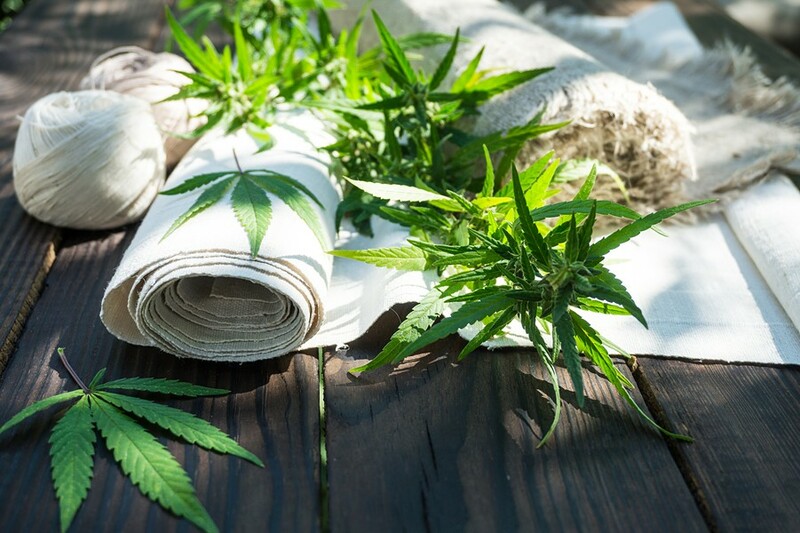 Though hemp gets a bad rap for essentially being a byproduct of marijuana, it actually has the potential to shake up the textile industry. Pima cotton has become something of a luxury in the national cotton industry, with Arizona producing for more than 66 percent. Last year, Arizona produced more than 400 million pounds of cotton on more than 130,000 acres. In a state like Arizona, where cotton is a cornerstone of the agricultural economy, hemp could help reduce water consumption and maintain healthy soil for year-round farming. Farmers often grow crops in cycles to maintain a variety of nutrients in the soil. With Arizona's unforgiving desert environment, farmers would benefit from throwing hemp in between the hay and cotton harvests. Hemp can also be used to make rope, lotion, soap, dried seeds for a healthy snack and of course, rolling papers. The versatile fiber also uses roughly one-sixth of the water needed to grow cotton while producing twice as much product per acre. It requires fewer pesticides, grows faster and uses less fertilizer, according to the legislators supporting the bill. When you look at the benefits, it's hard to believe that it's taken this long to bring hemp to Arizona, but Sen. Sonny Borrelli, R-Lake Havasu City, the bill's sponsor, is trying to change that. "This is about rope, not dope," he told the Arizona Republic. "This is another product that our farmers could use, make money on and stimulate the economy. We're missing out on a multibillion-dollar industry." Thirty other states have already legalized hemp production, and the group Vote Hemp estimates $600 million in profit for the national industry. Since Obama's 2014 U.S. Farm Bill, making the distinction between hemp and marijuana, it seems even legislators who grapple with the idea of legal marijuana have no problem understanding its difference from hemp. SB1337 would limit the amount of THC to 0.3 percent. For reference, medical marijuana usually has between 10 and 15 percent THC. While you're certainly welcome to try smoking hemp, it'll make you more sick than high. The bill only has to make it through the House of Representatives before landing on the governor's desk for approval. So far, the only sign of dissent has come from an attorney for irrigation districts that supply farmers with water. The bill is poised to be heard by two final committees in the House, in addition to the rules committee, before going to the floor for a final vote. With the end of the legislative session in sight, the bill should be decided within the next month.